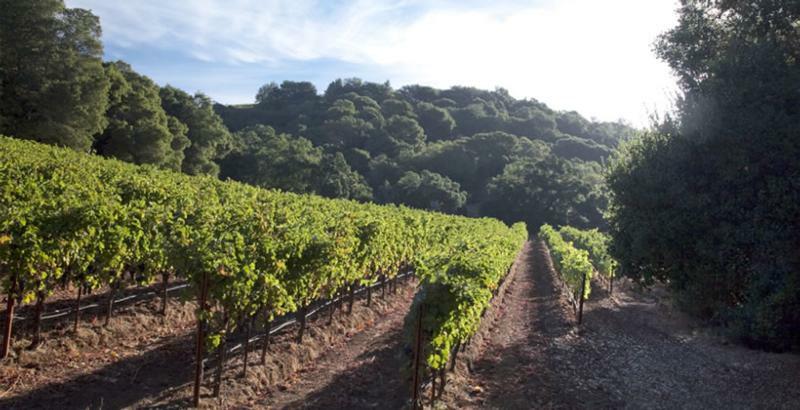 Alis & Richard ArrowoodThe Amapola Creek story began in 2001 when Richard and I discovered a very special place on the western slope of the Mayacamas Mountains--those magnificent mountains that rise between and separate the Sonoma and Napa valleys. From the first moment we set foot on the 100-acre ranch that we now call home, we both felt a sense of recognition. It was almost as if we had known and loved the place in another lifetime. There is, in fact, a deep connection to the past here. The red-brown volcanic soils reveal the mountain's fiery history, and traces remain of the old stagecoach road that once ran through the property. Stone walls still stand where Chinese immigrants built them more than a century ago. At the time, we were completely smitten by the expansive, yet intimate beauty. Immediately in his mind's eye, Richard saw the mountainside vineyards he would plant on the steep volcanic slopes and the new winery that would be nestled amid a stand of ancient oak trees. Now Richard has approximately 20 acres of certified organic vineyards from which to craft the best wines of his career, and together we share the peaceful home we built on the crest of the ridge--with its views of the sunset...and the winery!